Oblio’s Pizzeria Adds a Vegan Cheese Pizza! Nowadays, between health restrictions and people’s personal beliefs, restaurants need a much wider range of food options. I’m probably the opposite of a vegan, however, I know how frustrating it is to go to a restaurant and have very few options on the menu to choose from. We honestly hope that us providing vegan pizza will be an inspiration to other restaurants out there to follow suit. They’re rolling out the pie with options of Daiya cheese, regular or gluten-free crust, red or special olive oil white sauce, and an endless combination of fresh vegetable and herb toppings. 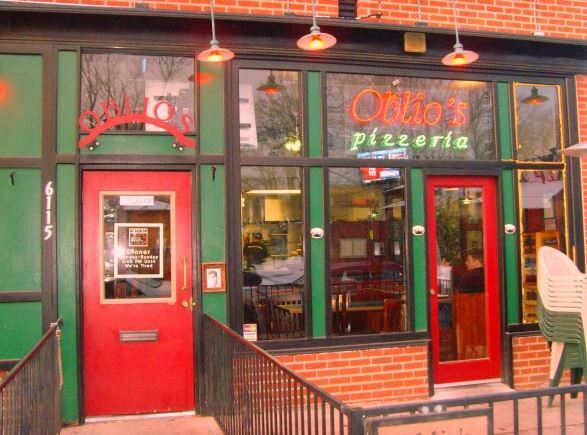 Oblio’s Pizzeria joins Lala’s Wine Bar + Pizzeria in becoming the second pizzeria in Denver this month to work with Vegan Outreach to add a delicious vegan pizza. Want more vegan options at your favorite non-veg restaurants? Make sure to make your request known to a manager and/or order some of our restaurant cards to leave at your table. Wonderful. I haven’t gone to Oblio’s because I hate to watch my family eat pizza while I have a salad. Can’t wait to thry the vegan pizza. Thanks, Vegan Outreach and Morgan!